Reimbursement of losses caused by unauthorized sale of cargo. Successful protection of the freight forwarder in the case of recovery of damages caused by the unauthorized sale of cargo by the agent of the shipping line CMA CGM. The attorneys of Inmarine were nominated by the freight forwarder to provide legal assistance on the issue of reimbursement of the value of gelatin lost by the shipping line in a container. The loss of cargo occurred as a result of an uncoordinated and unauthorized forwarder of forced sale of goods by a line during its storage at the port of discharge. The sale was carried out despite the full and timely payment by the freight forwarder of services for the storage of cargo and is motivated by the minimization of losses by the line. 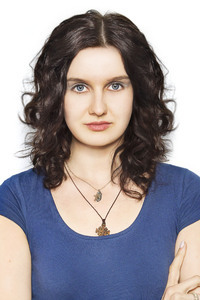 According to the established circumstances, attorney Victoria Zhdanova filed a statement of claim to the Arbitration Court of St. Petersburg and Leningrad Oblast. During the year, while the trial of the case lasted, the Inmarine team collected, evaluated and presented evidence confirming the defendant’s immediate guilt - the line agent in the loss of cargo. The defendant denied involvement in the sale of the goods, referring to the limitation of his liability as an agent of the carrier. Meanwhile, our attorneys proved that the loss of cargo occurred not in the process of its transportation on the ship “BALKAN” (IMO 9358890), but during the period of its forced storage, which was paid by the claimant - the freight forwarder in full. To give explanations on the case, third parties were involved - the owner of the lost cargo, as well as the person who purchased the cargo after it was sold with the sanction of the defendant - an agent of the shipping line. By decision of the Arbitration Court of St. Petersburg and Leningrad Oblast of 02/11/2016 on court case A56-41031, left unchanged by the Resolution of the Thirteenth Arbitration Court of Appeal of 05.26.2016, with the participation of Inmarine attorneys, from a CMA CGM agent in favor the freight forwarder recovered losses incurred by compensating the customer for the cost of forced gelatin sold during storage in the sea port of Rotterdam. The judicial act was executed within 5 working days from the date of entry into force, the amount of damages was fully recovered from the line agent in favor of the freight forwarder. Disputes arising from international transportation in the framework of the provision of freight forwarding services, as a rule, are complex, require compliance with the pre-trial settlement procedure and the collection and provision of evidence, including outside the Russian Federation. If you or your partners are faced with loss or damage to the cargo during the maritime transport, contact us to arrange legal assistance by email at sos@inmarin.ru or by phone +7 (812) 603-48-63. 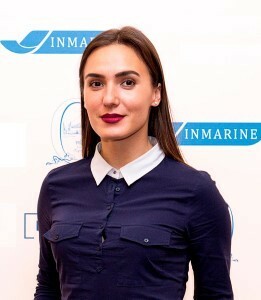 Successful representation of the interests of a major Krasnodar fruit supplier in a dispute with an agent of the only Crimean international operator, Sevastopol Shipping ("Varyag" freight ferry line). 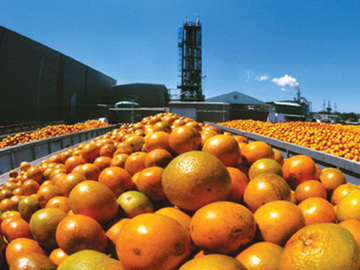 The principal has purchased citrus fruits (oranges, tangerines) from a Turkish supplier. To arrange delivery of fruits to Russia, the principal entered into a transport expedition contract with the Crimean Maritime Agency LLC, the sole agent of the sea carrier Sevastopol Shipping. After unloading the goods at the port of arrival, with the participation of experts, it was established that the cargo was partially lost - the container was damaged, the fruits are in a damaged state. The freight forwarder refused to voluntarily compensate for the losses associated with partial loss of cargo and the cost of inspecting and destroying it, citing the absence of evidence of its fault in causing damage. The principal made the decision to appeal to the Arbitration Court of the city of Sevastopol. In the course of the proceedings, our lawyers successfully recovered losses caused by partial loss of the cargo, as well as the costs of the examination and the destruction of the cargo by the principal. As part of the justification of the position in court, the lawyers confirmed and expanded the findings of the examination of the case, as well as refuted the arguments of the defendant that the examination was conducted illegally (in the customs control zone). Additionally, it was possible to protect the principal from the unlawful demand to pay the price of transportation of the lost cargo.